Mais algumas das nossas decorações natalícias com elementos naturais. A few more of our Christmas decorations with natural elements. 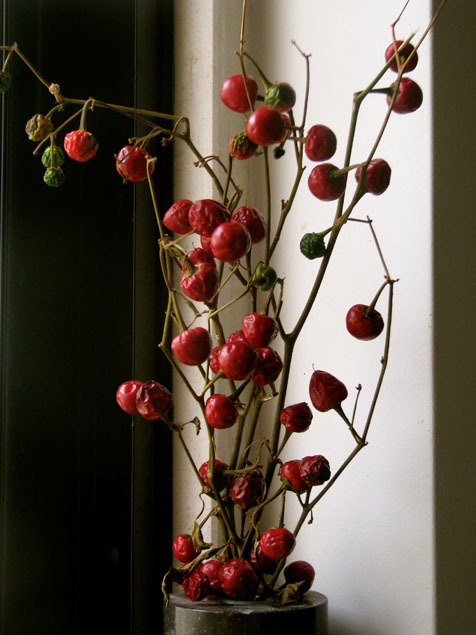 I love little pops of red like this for Christmas, especially since if I am not mistaken most of your decor is white. I will also take this opportunity to wish you and your family a Merry Christmas and a wonderful 2012.